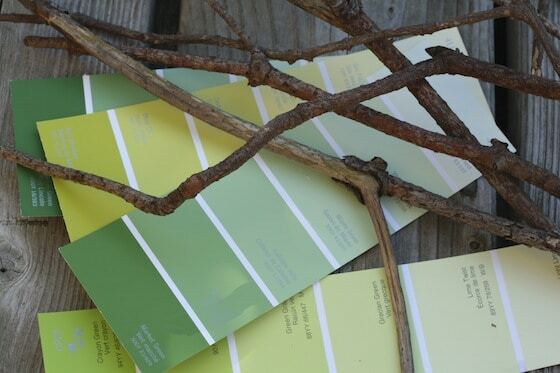 A few twigs and a handful of paint swatch cards are perfect for putting together a Paint Chip Apple Tree. 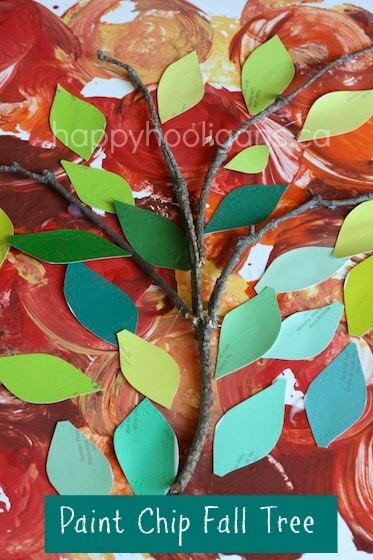 We’ve made lots of fall tree crafts here in my home daycare over the years. This apple tree is our latest! It was a fun way to combine a traditional fall painting activity, colourful paint swatches and a few items from nature. 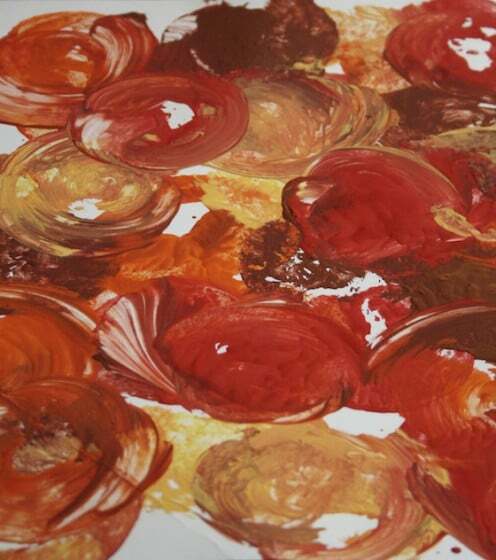 Remember the beautiful art we created last week when we were Apple Stamping with Fall Colours? And remember I said I’d need to think of a way to use this colourful cardboard canvas we made? Well, here’s what I came up with: a Paint Chip Apple Tree. I just love crafting with paint chips. We have a drawer full of them, and we use them for all kinds of arts and crafts projects. We’ve made Paint Chip Mosaics, Paint Chip Candy Canes, we use them for cutting practice when working on our scissor skills, and there’s our fine motor game: the Pringle’s Can Paint Swatch Drop. I used to grab a few paint sample cards whenever I was in the paint section of the hardware store, but one day I asked at a Paint Shop, and the owner was happy to hand over about 25 sleeves of cards in their least popular colours. They’re not awful colours at all. They’re just not terribly popular when it comes to room colours – bright orange, navy blue, teal green etc. 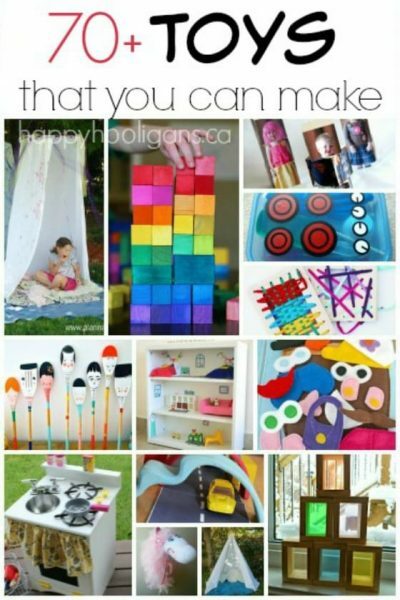 Great colours for crafting with! 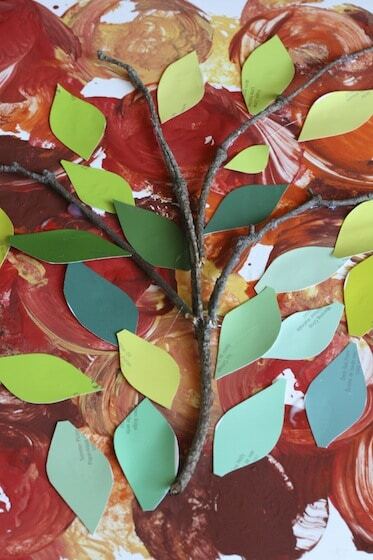 For our Paint Chip Tree, we simply gathered some twigs from the backyard, and I cut out a couple of dozen leaves from a variety of green paint swatch cards. We used our low-heat glue gun to attach the twigs to the apple-stamped backdrop. The 4-year-old started using our low-heat glue gun when she was about 3.5, and she’s a whiz with it. The gun doesn’t get hot enough to really burn, but even so, because we were working with really skinny twigs, I gave her a hand so the hot glue wouldn’t drip off the twigs. I held the twigs, she manned the gun, and we got the job done. Once the twigs were in place on the cardboard, she used a glue stick to decorate the tree with leaves. 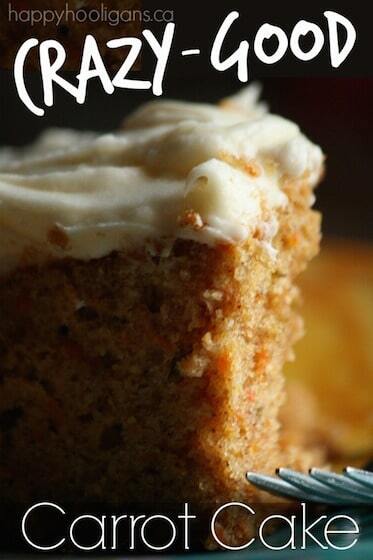 Simple, sweet and perfect for apple season! Yes! We have plans to do a fall coloured tree as well, Becky!! This is gorgeous. I love the use of a real branch too. Thank you for sharing at our Pinning for Play link party! I love this! I’ll be checking back frequently – I’m a homeschooling mommy and your blog is right up my alley! Thanks! This is great! I love the colours. Pinned it! You’re welcome! I’m really glad we went with fall colours too! Gorgeous! I love all your crafts, and your photography is always so beautiful. Thanks for sharing at After School! What a great idea!! I love how it came out. Thank you for sharing at Sharing Saturday! Seriously I can’t get enough of paint chip DIY’s thank you! You have opened my eyes to a few new ones that we will have to give a whirl! LOVE THIS. Me too! There are so many things you can do with them! This is such a cute idea. My son is in 1st grade and for some reason loves to collect sticks! So this would be a great way to make use of them! He would love this idea. I think we will try our hand at it this weekend! Thanks for sharing! I don’t blame him! We love sticks here too! 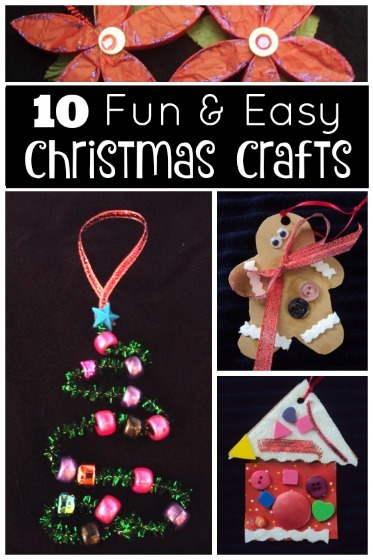 They’re so versatile for crafting and great for imaginative play!